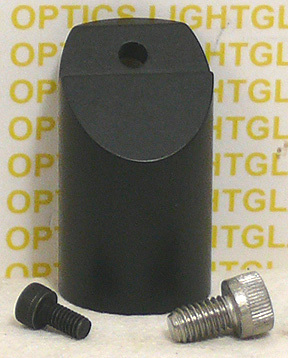 These Thorlabs MA-45-75/M 45 Degree Mirror Holders are New Old Stock from Thorlabs. These include the new hardware shown. They are taller than the current MA45-2 that Thorlabs now sells. Measuring one inch from the base to the bottom of the 45 degree bevel and 1.6875" from the bottom to the top of the post, these are an ideal way to mount a mirror or lens mount at 45 degrees.